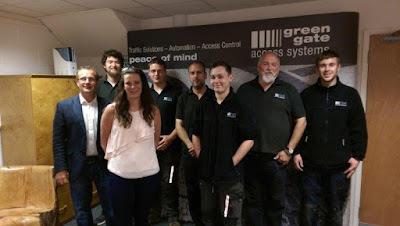 Green Gate Security Access Systems has established itself as one of the UK’s leading companies in its sector during its first decade in business – and is looking forward to more success in the years ahead. The company started life as a home-based project for Maidstone couple Neil and Hannah Sampson with the idea of promoting solar security within the domestic sector. Ten years on, Green Gate Security Access Systems has become one of the leading businesses within the security gate industry ¬ – achieving a number of UK firsts and winning contracts with a range of high profile clients. To mark its decade in business, the company plans to offer its 1,000th customer a free installation of one of its products, with that milestone expected to be reached over the coming weeks. Green Gate Security Access Systems has installed solar and mains powered gates, barriers and access control systems to a number of high profile clients across the UK, including Ford, BT, and the Saatchi Gallery. It has also secured a number of public sector contracts, with hospital trusts and local authorities. 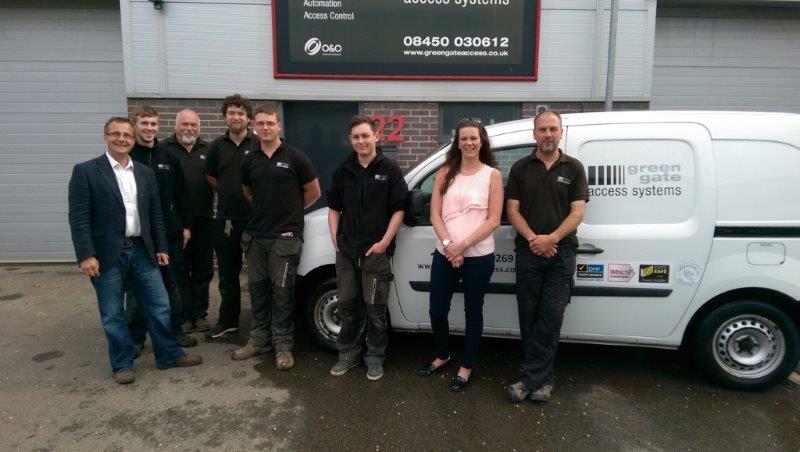 The company is also the UK stockist for two major automation brands including O&O barriers and bollards. Back in May 2006 the company launched with just two employees, working out of a bedroom and a leaky lock-up on a farm. It now has a workforce of 11 people, operating out of a business unit with showroom in Bircholt Road, Maidstone. Green Gate Security Access Systems prides itself on literally pushing back the barriers of its sector – from installing the country’s first lifting gate, the UK’s largest solar school gate in Broadstairs, and the country’s first solar O&O car park barriers at Warwick Hospital. Neil graduated from the University of Sussex with an honours degree in Biochemistry and Industrial Marketing before working with a number of technology and internet firms. After meeting with the company behind the UK’s first bespoke solar powered gate automation system, Neil recognised a gap in the market and set up Green Gate Security Access Systems to supply the product and in 2014 he was announced as the Door and Hardware Federation (DHF) Powered Gate Chairman. Neil said: “I can’t believe it’s been 10 years. We have achieved so much in our infancy and the Green Gate name is growing rapidly within the powered gates industry. “We have put ourselves on the map by not being afraid of a challenge. Rather than just saying ‘no, sorry, can’t help’ when something difficult comes our way, we aim to solve the problem and go the extra mile. The company is also an active supporter of several charities, including The Princess Project, in Maidstone, and oversees at Soteria Business School in Nigeria.